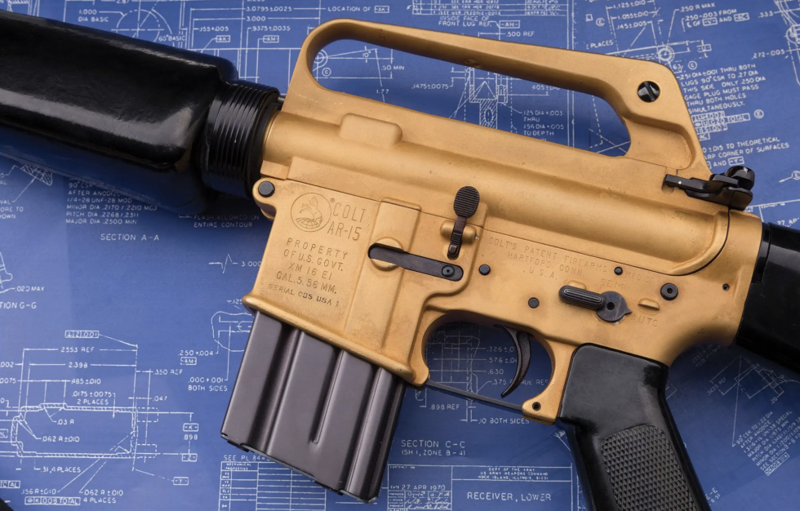 A golden AR-15/XM16E1 assault rifle that belonged to the late Army Gen. Earle "Bus" Wheeler, who served as Chairman of the Joint Chiefs of Staff during the height of the Vietnam War from 1964 to 1970, is currently up for grabs at Rock Island Auction Company through May 3rd. The was was presented in to Wheeler, who died in 1975, by Colt President Paul Benke when the former was serving Chief of Staff of the Army in 1964. "Wheeler, who served as in infantry officer early in his career to include service in WWII, reportedly took a keen interest in the Colt, which was eventually selected to replace the Army's M14 — the latter a gun which had been developed by the Army's own Ordnance Department," Guns.com notes. 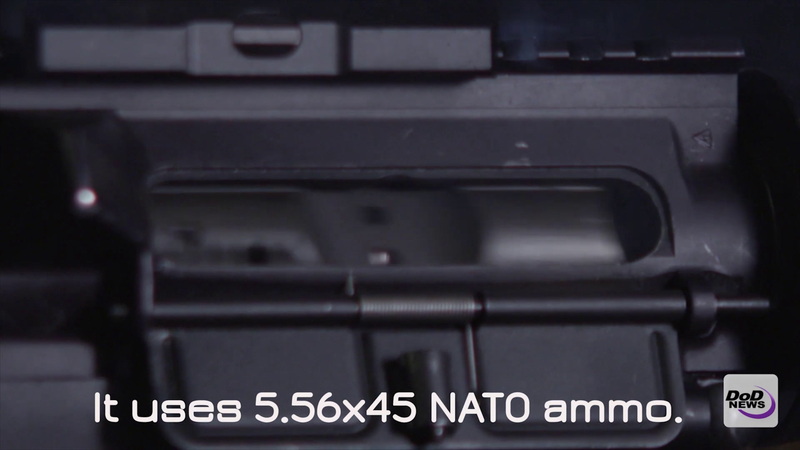 "One sticking point for the service was the absence of a way to manually close the M16's bolt, a feature which became standard on the Colt 603 models after 1963." It exhibits all the very early Colt M16 characteristics along with a unique, high polish deep blue/black metal finish on all the metal components except for the complete bolt and bolt carrier assembly which are chrome plated and the upper and lower receiver and barrel that have been given a matte type Gold washed/plated finish. Even the plastic components exhibit a high luster, high polish type buffing/finish. A similar golden presentation XM16E1 currently resides in the Springfield Armory Museum in Massachusetts. It bears the serial number 50,000 and is rumored to have been intended as a presentation to President Kennedy. Even without the extra bling, the one-of-a-kind rifle is still extremely rare, rare enough to cost potential bidders somewhere between $150,000 and $275,000, according to the auction house. Better start saving now.